Kyano Cummings attended the CWL last January and was awarded for his efforts, earning a contract with the Evansville Otters of the Frontier League. Cummings is a 23-year old from Brewerton, New York and most recently played collegiate level baseball at Siena College in 2016. He finished his college career with 169 strikeouts in 195 1/3 innings pitched for the Saints. He came to the California Winter League in search of a contract to continue his career. With the New York Colonials, Kyano appeared in 13 games, all in relief, putting up a sparkling 1.08 ERA and struck out 26 hitters in 19 1/3 innings, to go along with 4 wins and 4 saves. He was offered a contract with the Evansville Otters of the Frontier League for 2017. 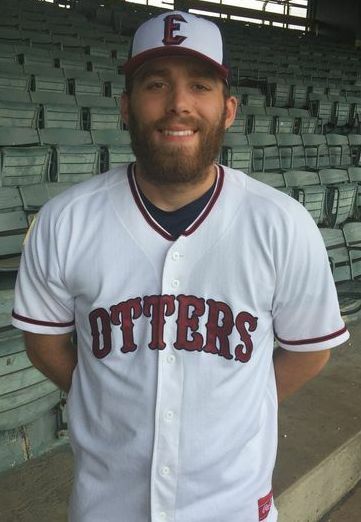 The 6’1″, 210-pound pitcher reported to Evansville and really shined, in 50 relief appearances with the Otters, Kyano put up a 1.22 ERA and recorded 7 saves in 73 2/3 innings, striking out 58 batters. The CWL congratulates Kyano on all of his hard work and wishes him the best of luck on his endeavors!